Yes! You can easily change the logon screen background on your Windows 10 computer. Read this tweak to know more. Windows 10 doesn't allows us to change the login screen background. 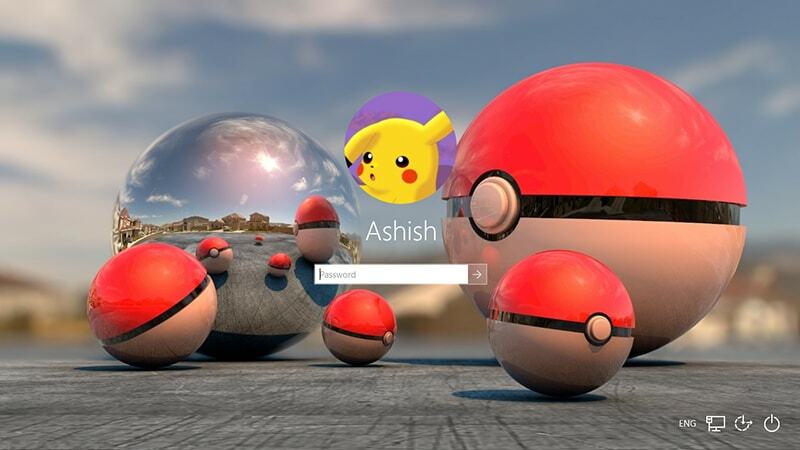 In Windows 7, you can easily replace the default logon background with the image of your choice, with little tweak. But that tweak will not work in Windows 10. 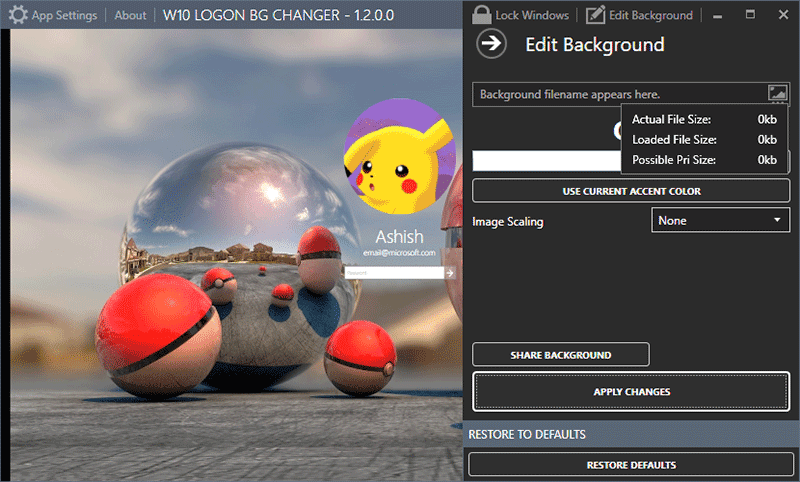 But a third party utility, called Windows 10 Login background Changer can do this task with ease. Early versions of this application wasn't working well and many users wasn't able to login back to Windows 10. The latest version (1.2.0.0) works as expected and I am sure you won't find any problem. Check this Reddit thread to know more. Read: Change Windows 7 Logon Screen Wallpaper. By default, you're presented a Hero wallpaper on the login screen. You can change it with another image, or use a solid color instead. Follow the following steps to know how. Note: You must login to Windows with Administrator profile, otherwise this application will not work. Go to this link (GitHub) and download the application. Extract the ZIP file and open the Windows 10 logon BG Changer application from "GUI" folder with admin rights. The app will look just like the screenshot given below. Click on the image icon in the "Edit Background" section and choose a good quality image. You can also use a solid color instead of an image, choose the color from the drop-down menu given below "OR" and click "Preview" button to see how it looks . Finally, click on the "Apply Changes" button after choosing your desired image or color. Tip: Click Restore Changes button to reset the Login screen background to the default iamge. More information: The Login screen background is stored in the "Windows.UI.Logon.pri" file. You can manually extract the background from this it and change it with your own image with Windows 10 SDK. But it's very complicated process and you can break your system with a little mistake in the modification. This small tool creates a new PRI file with the image you've chosen and replace it with the default file. It'll also create the backup of the default version of the file with name "Windows.UI.Logon.pri.bak". You can find both file stored in "C:\Windows\SystemResources\Windows.UI.Logon" folder. I haven't found any problem while testing this applications and works as expected. Logon screen looks brilliant after modification. You'll just need a high quality background wallpaper which you can get here or here. That's all! Comment below if you need any assistance.